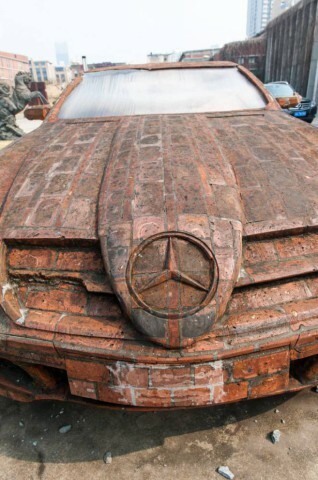 The Benz is sculpted entirely out of brick and mortar minus the windows, making it weigh in at roughly 6 tons! Considering the medium that he used, this thing is incredibly detailed. 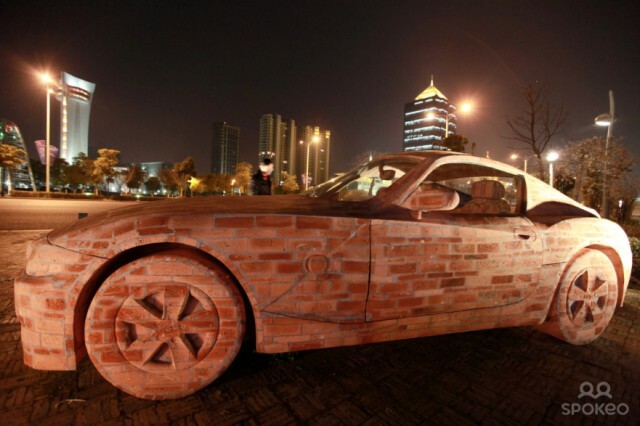 It goes to show you just how talented Dai Yun really is. 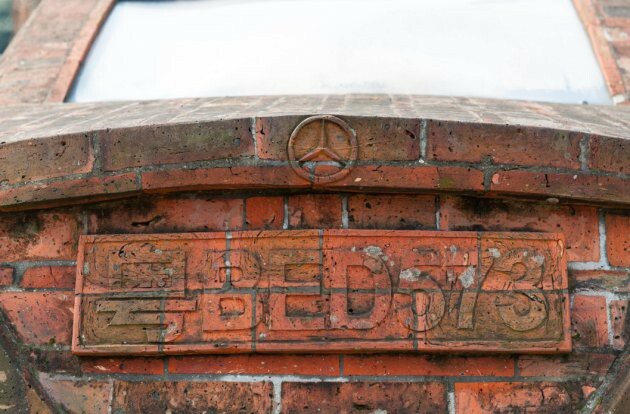 Many brick layers can’t even put up a curved wall, let alone a perfectly scaled Mercedes. 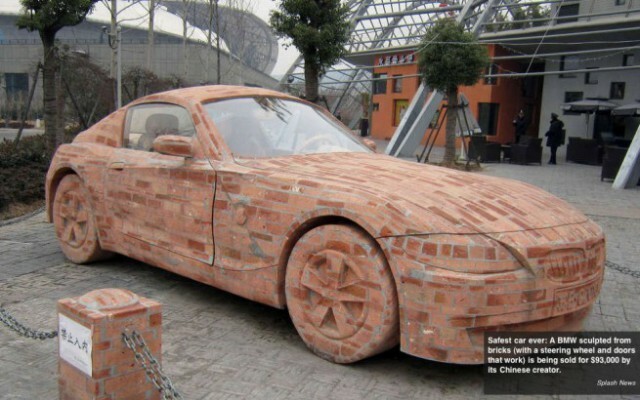 His sculptures are not cheap by any means. 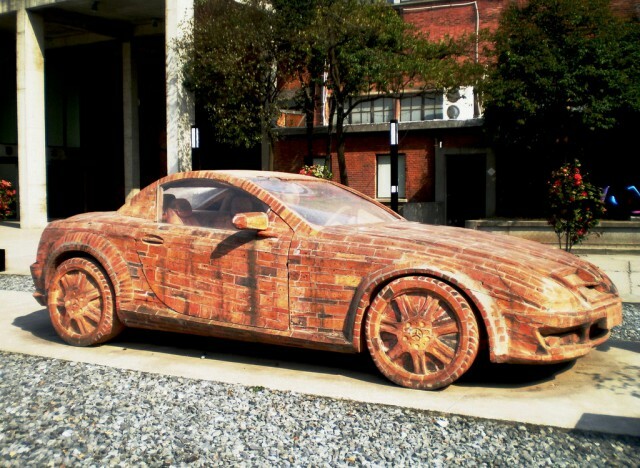 In fact it would be a lot cheaper to buy the real thing than to commission Yun for one of these cars. 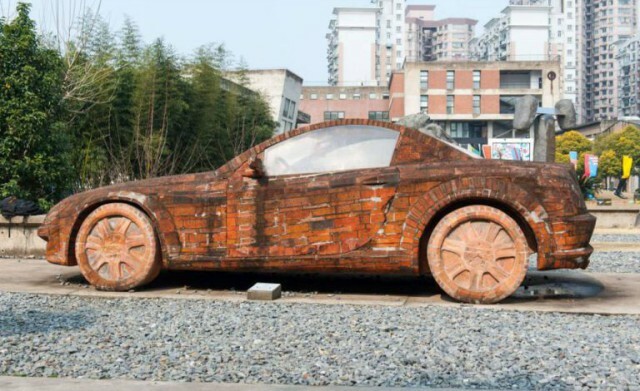 He was asking roughly $90,000 for the BMW Z4 he created. 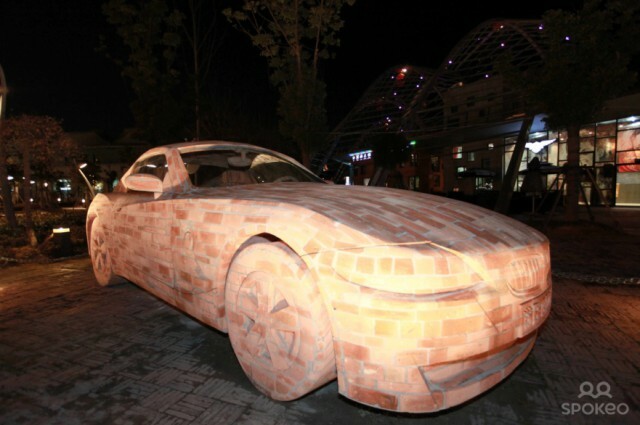 Even if you did shell out the cash for a brick sculpture of a car, how would you haul it home? The interior is complete and mimics a real Mercedes perfectly other than the color and texture. 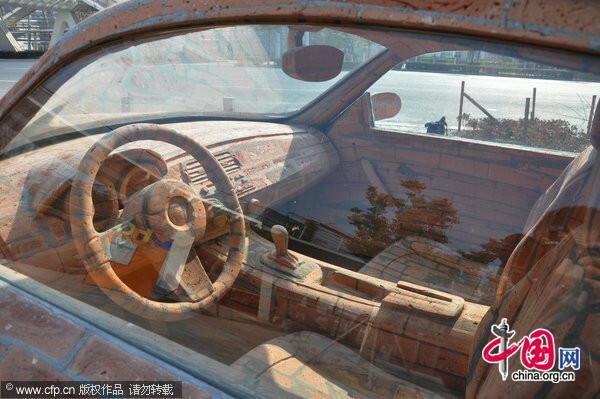 The steering wheel and the seats are even made of brick and mortar. The thing that blows my mind is that this thing is over 12,o00 pounds yet the doors open. They have to weigh a few hundred pounds each at the bare minimum. 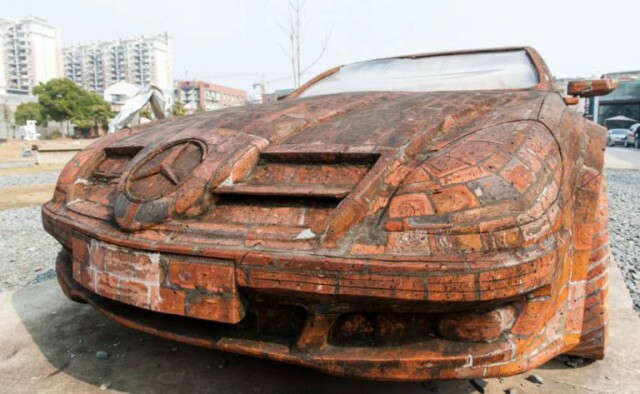 This sculpture weighs in at over 6.5 tons and is said to be worth over $90,000. It is unique but I don’t think I’d be spending that kind of cash on it when I could buy a few real ones for that price. You do have to respect the talent here. 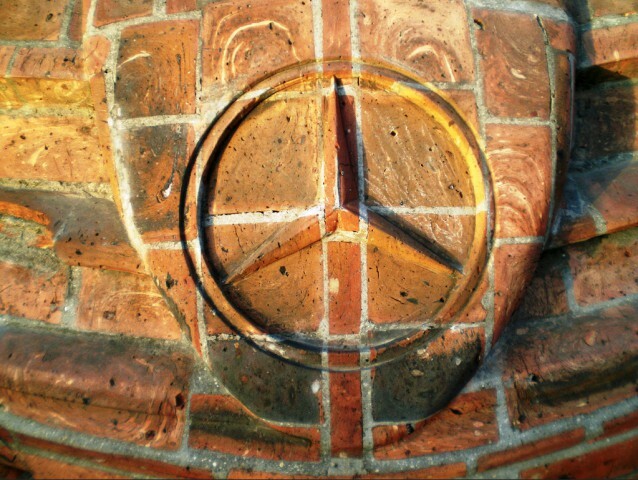 I imagine that it’s not that easy to make the curves and minute details out of brick and mortar. 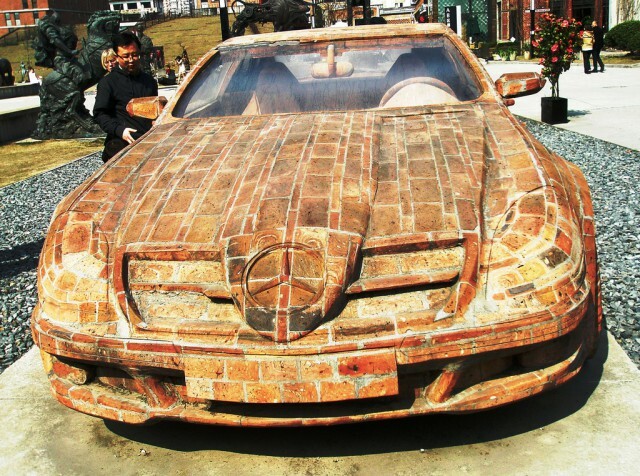 7 responses to "Man Builds Insane Mercedes Replica Using Only Red Bricks (11 Pics)"